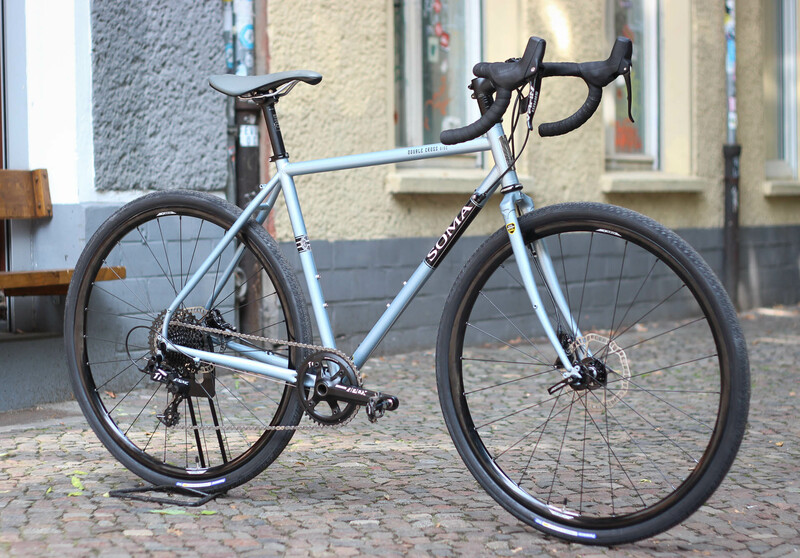 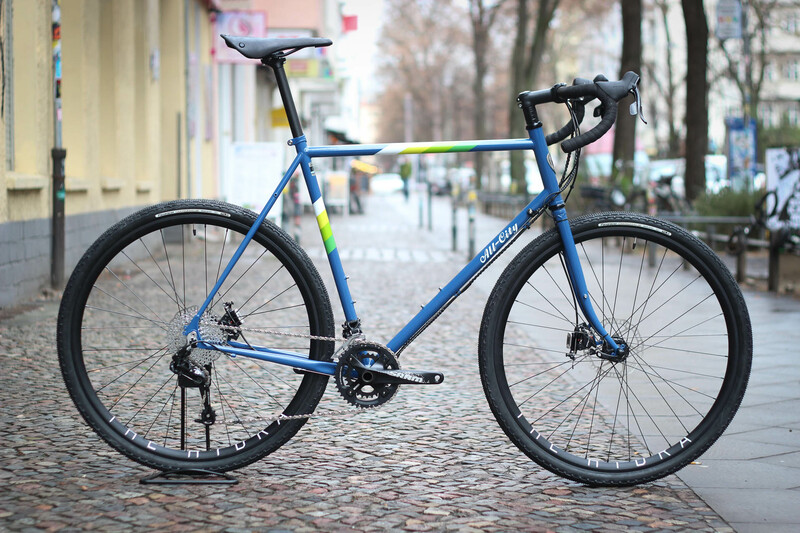 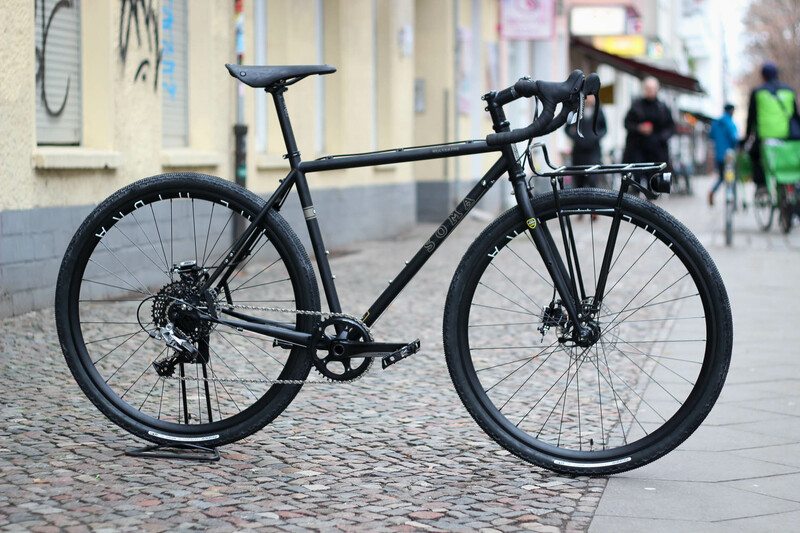 Big All-City Cycles Space Horse we made for Merten. 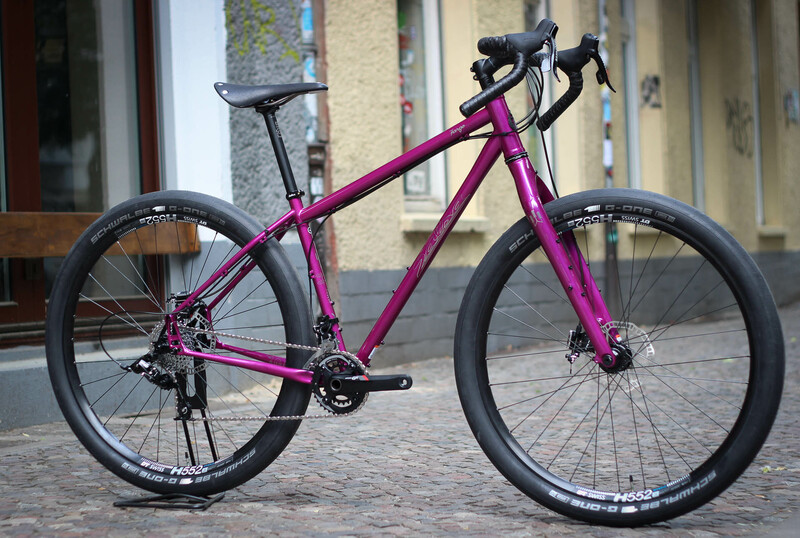 Touring setup with 2×10 SRAM drivetrain. 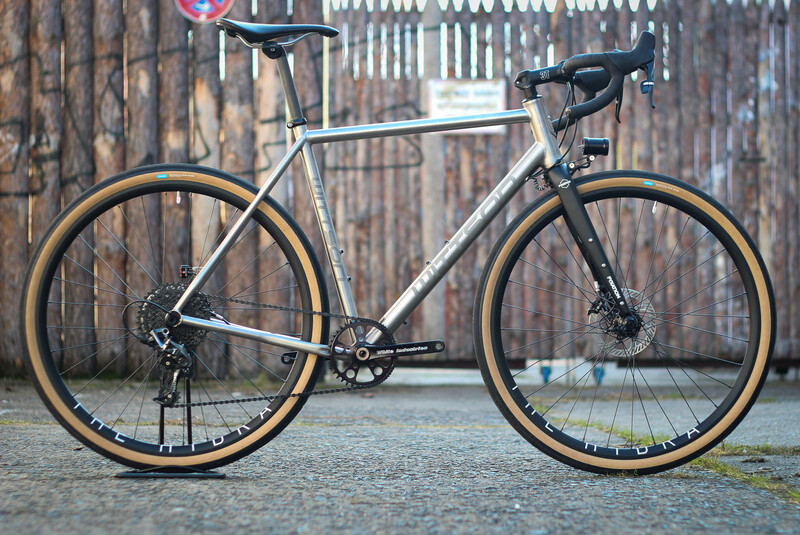 Shuter Precision dyno hub with H+Son Hydra rims and Panaracer grevelking tyres, Salsa Cycles Cowchipper and TRP semi hydraulic disc brakes. 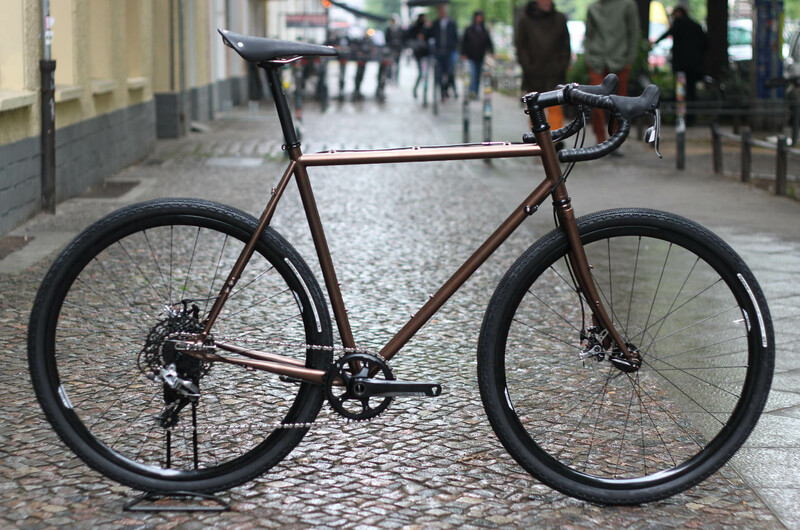 One of the recent highlights was this custom copper coloured Soma Fabrications Wolverine we build for Jan.